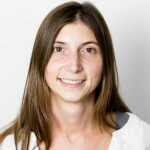 Ashely Curtis joined the IRI in 2008, after completing her MA in environmental science and policy at Clark University. Her master’s thesis investigated neural network modeling methods for describing animal species distributions. Curtis previously worked at the Columbia University Tree-Ring Laboratory, where she collected, processed, and analyzed tree-ring data used to understand past climate and environmental history. She also worked with a wildlife conservation group in the Philippines for several years as a Peace Corps volunteer. Curtis earned her bachelor’s degree in biology from Bard College. At the IRI, Curtis coordinates the Climate Program and contributes to research, education, and outreach efforts. She is also actively involved with the IRI’s partnership with the International Federation of the Red Cross and Red Crescent Societies (IFRC). Staffing the IFRC Helpdesk at the IRI, Curtis communicates and contextualizes climate and forecast information that humanitarian decision makers can then use to improve preparedness for weather and climate-related disasters.